One of five practices to facilitate the Sonosculpt procedure, Sonospine Washington, D.C. is a pioneer in neurosurgery. The operation was developed and patented by world-renowned neurosurgeon, Dr. Dilantha B. Ellegala MD. At the Washington, D.C. location, the surgery is predominantly performed by Jim Chadduck, M.D. Sonospine Sonosculpt is a unique neurosurgical procedure. It serves as a less invasive alternative to riskier spinal surgeries, like spinal fusion. Sonosculpt provides stellar relief for patients suffering from serious neck and back conditions that are holding them back. Conditions treated by this include spinal and foraminal stenosis, herniated discs, degenerative disc disease, failed back surgery syndrome, bone spurs and more. One thing that makes this option stand out is its guarantee of a speedy recovery time. 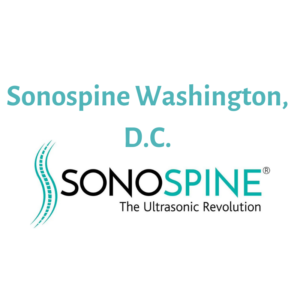 Patients of Sonospine Washington DC often experience full recovery within six to eight weeks after surgery. This is a fraction of the six month recovery period experienced with spinal fusion. Dr. Dilantha B. Ellegala MD developed the concept in an attempt to offer patients a minimally disruptive solution to their neck and back conditions. The procedure is backed by 22 patent claims in ultrasonic surgery. Only the most effective techniques are utilized by Dr. Ellegala and his staff. A firm believer in continued education, he continues to perfect the process. Refining the technique by using the most cutting-edge technology in the industry is the foundation of the revolutionary procedure. Sonospine also maintains a location in Scottsdale, Arizona. To schedule a complimentary consultation at one of the practice’s locations, call 888-957-7463 or visit https://sonospinesurgery.com/.